Jackie Joyner-Kersee was born March 3,1962 in East St. Louis, Illinois, to a family that sometimes lacked material possessions ”but always had love.” She was also blessed with a talent, a supportive family and a quiet yet unshakable belief in herself. That foundation lead Joyner-Kersee to become a high school basketball and track star, and eventually lead to a scholarship in basketball to the University of California Los Angeles (UCLA). There she earned a B.A. 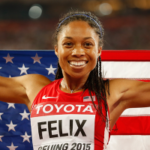 in history, while also distinguishing Herself in the sport of track and field, dominating the long jump and heptathlon. After graduating from UCLA in 1985, Jackie Joyner Kersee went on to build one of the most illustrious athletic careers in the world, earning the titles, ”World’s Greatest Female Athlete” and ”Queen of Track and Field”. 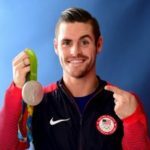 The combination of love, support, and talent has netted 6 Olympic medals 3 gold, 1 silver 2 bronze, the world and Olympic record in the heptathlon, the American record in the long jump, 50 & 60 meter hurdles, and the respect and admiration of peers and fans alike. Accomplish is an understatement. Joyner-Kersee has received many prestigious awards, including the St. Louis Ambassadors Sportswoman of the Year, Sporting News Athlete of the Year Award (the first woman to receive either of these awards), the Sullivan Award, and consecutively winning the Jesse Owens Memorial Award. But Jackie Joyner-Kersee is proudest of her achievements off the track. As a way of giving back to the community that has supported her, Jackie Joyner-Kersee created the JJK Community Foundation which supports the development of leadership programs in urban areas across the United States. 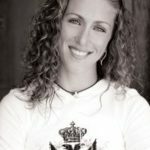 The organization is now know as the JJK Youth Center Foundation, and Joyner-Kersee is spearheading the foundation’s efforts to build a community center in her hometown of East St. Louis. ”When I leave this earth, I want to know I’ve created something that will help others,” says Jackie. Jackie Joyner-Kersee brings the same passion, energy and fervent optimism to everything she does. 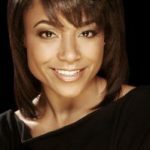 In addition to her foundation work, she is a dynamic motivational speaker, sought after by educational, cultural, civic, and corporate groups who want to hear her positive and inspirational messages. 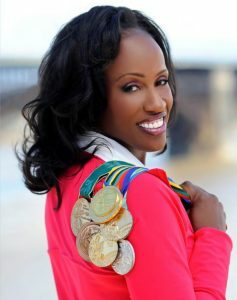 Jackie Joyner-Kersee carries her holistic outlook and gracious demeanor to the track, the community, and the boardroom. That coalition of traits won her an appointment to the St. Louis Sports Commission. She is the first female, the first African-American, the first Illinois native, and first active athlete to serve as chairperson. This position will allow Jackie Joyner-Kersee to apply her years of international sports experience to the task of adding new chapters to the St. Louis region’s rich sports history.